This is a compensated campaign in collaboration with The Idaho Potato Commission & Society Culinaria. 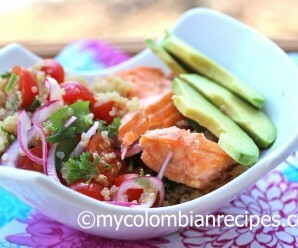 As always, thank you for reading and supporting brands with which I work, as it helps support My Colombian Recipes. A summer cookout or picnic would not be complete without a good potato salad to go along with those burgers and hot dogs. My favorite thing about potato salads are their versatility. You can add your favorite ingredients and have a different dish every time you make it. 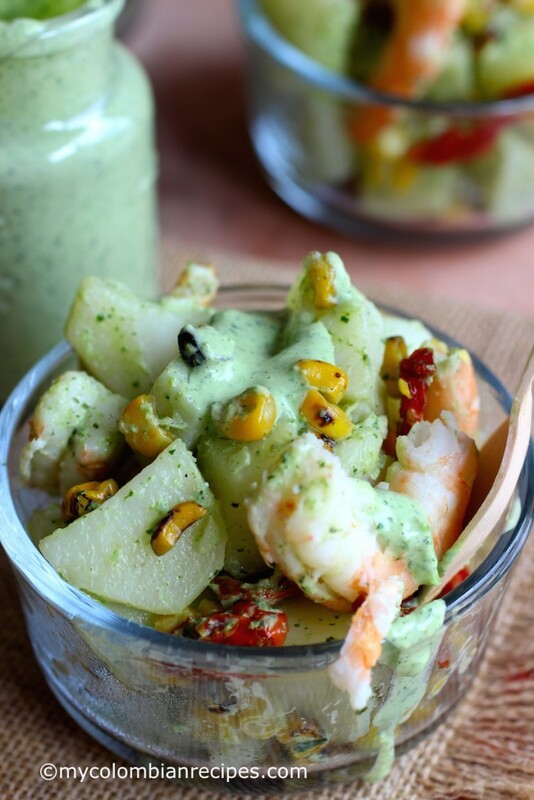 If you are going on a picnic, or hosting or attending a cookout this summer, I’d like to offer you a delicious suggestion, Potato and Shrimp Salad with Cilantro and Lime Dressing. I used red Idaho® potatoes for this recipe, but any variation of potato will do. Idaho potatoes have more than 27 varieties of potatoes from which to choose to make your salad. This is a great opportunity to experiment! 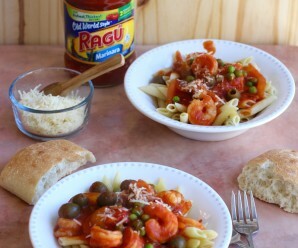 It also would be delicious with chicken instead of shrimp or roasted poblano instead of sun-dried tomatoes. 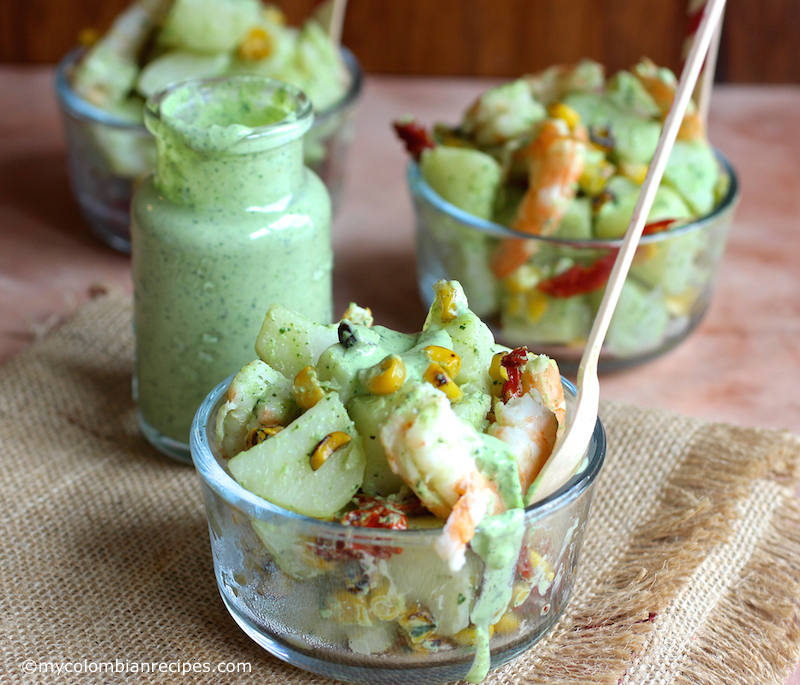 The dressing is comprised of cilantro, garlic, lime juice, sour cream, and a touch of mayonnaise, used as an accent, instead of the usual main ingredient. It results in a salad that is perfectly dressed, moist and a little creamy, but not at all thick or overpowering. 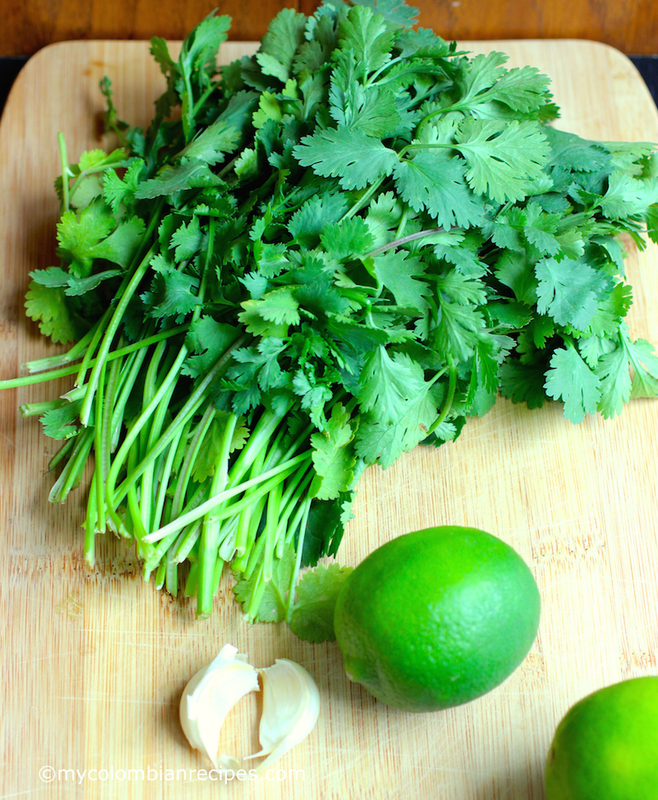 Also, you can switch the cilantro for parsley if you are not a big cilantro fan, or combine them. 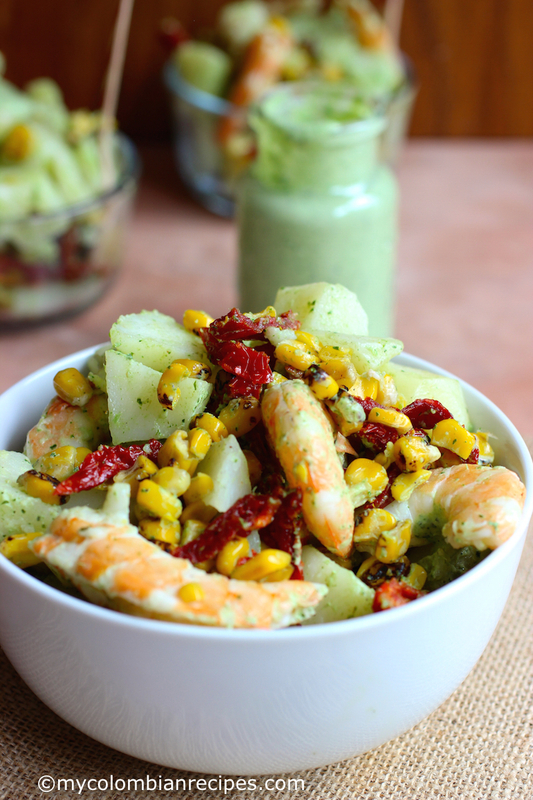 If you want to switch things up from a traditional potato salad, this Potato and Shrimp Salad with Cilantro and Lime Dressing recipe may be the one for you. 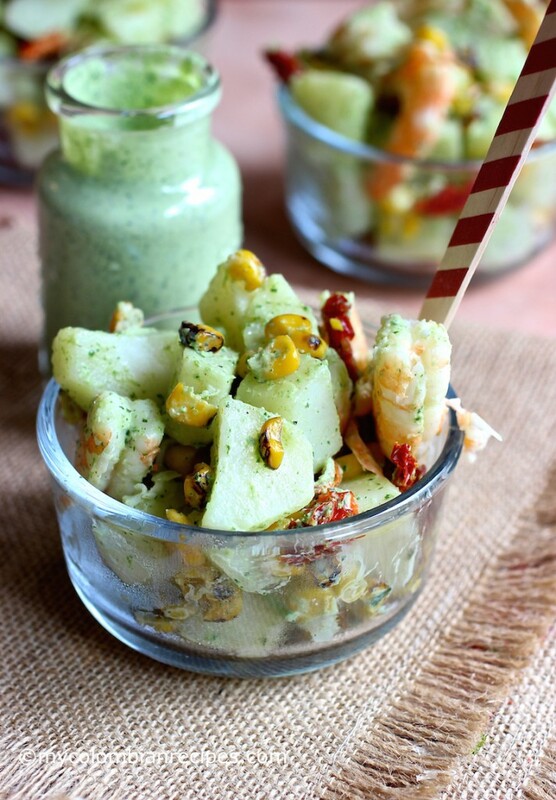 If you’re a fan of potato salad and cilantro, you must try this recipe. I’d bet you’ll love it, too! To make the dressing, place the mayonnaise, sour cream, garlic, cilantro lime juice, salt and pepper in the food processor or blender. Mix well until everything is combined. 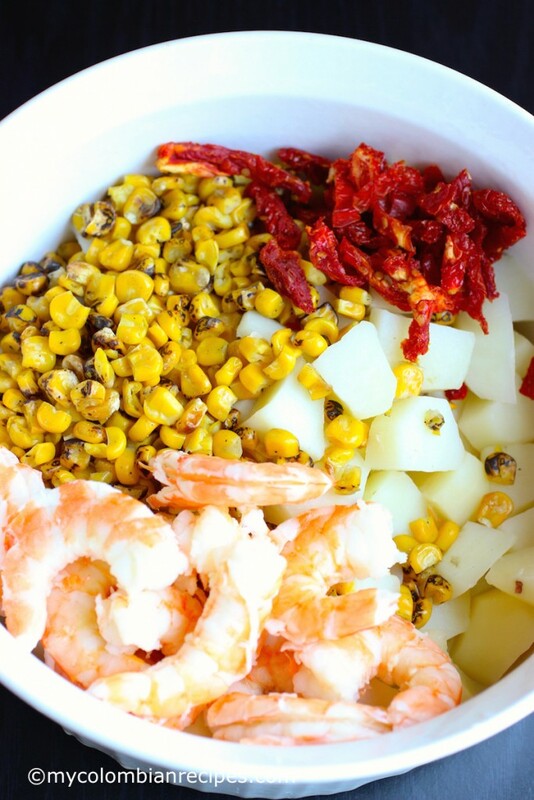 Place the cooked potatoes, cooked shrimp, corn and sun-dried tomatoes in a bowl. Add the dressing and mix well. Chill until ready to serve. It looks amazingly delicious. I love the combo of flavours. There are many potatoes all over the world but they can usually be classified into types – waxy, floury, etc. For those of us who do not have access to American fare, it would be a great help if you could state what type of potato you are using. 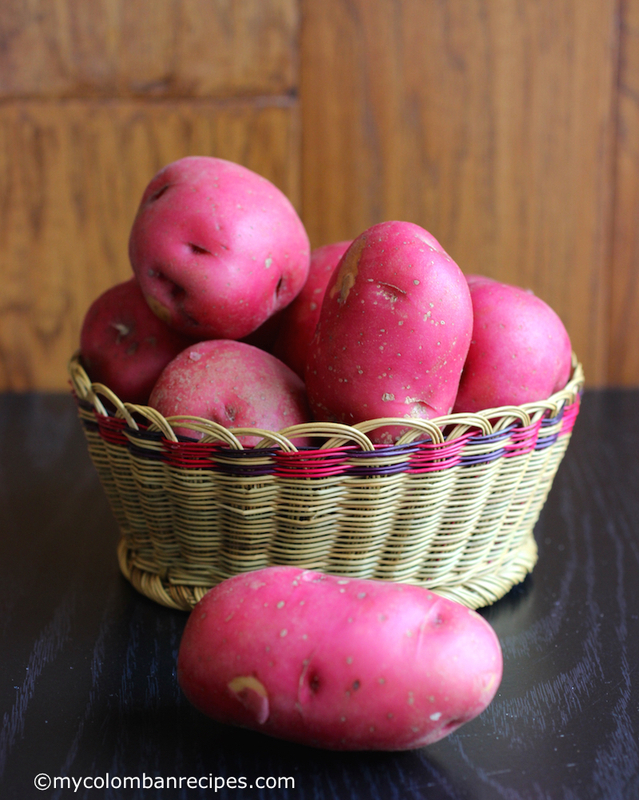 Those Idaho reds look like a variety common in the UK and known as Desiré, but they may be entirely different..
potato salads can be so boring, but not this one! i love your additions and the dressing sounds like it could become a new favorite! I do enjoy a nice potato salad and this one is a nice meal on it’s own with the corn and shrimp. The dressing looks superb. This looks amazing I cant wait to try this. 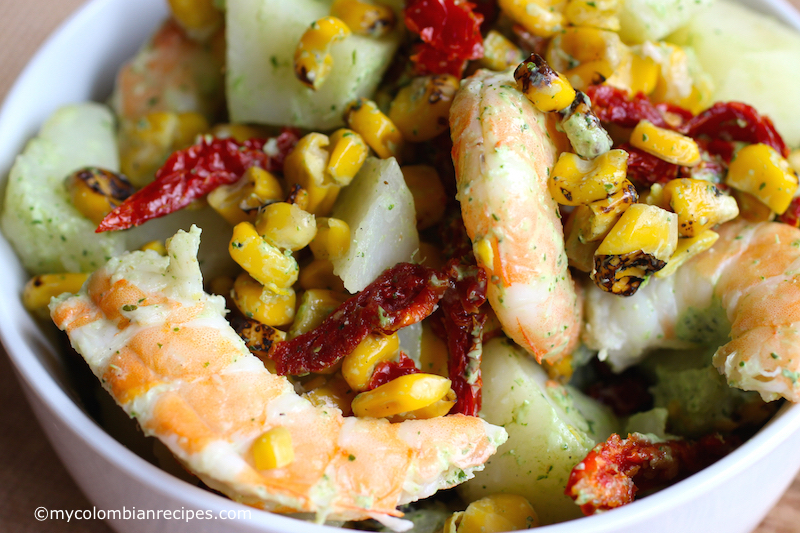 I love potatoes and potato salad and adding shrimp is a great idea! Yum. 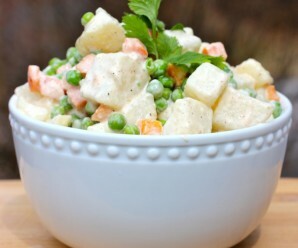 I love potatoes and potato salad and this looks so good! 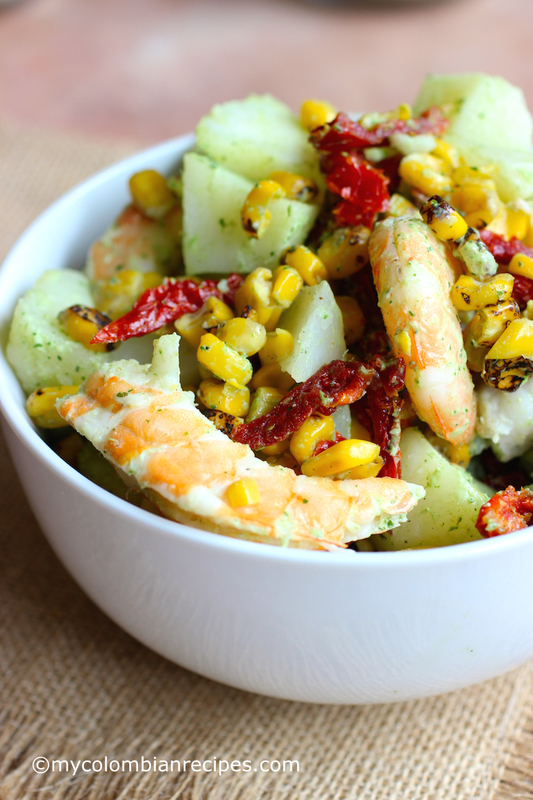 The addition of shrimp is amazing, and that dressing looks so fresh and delicious. 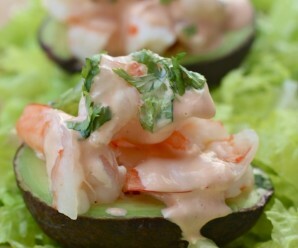 Erica, how do you suggest cooking raw shrimp for this salad?